Well, you said "a" hot dog, and I'm not doing anything elaborate for one, so for a single hot dog: 30-40 seconds in the microwave with just the wiener, then put the bun in as well for another 15 seconds. My preference though is on the BBQ with a lightly grilled bun. Grill-style cast iron pan on medium heat, rotate/flip with tongs for about a minute or until the skin gets slightly brown + darker grill marks. On a grill outside until there are char marks. I grew up having them always boiled so I don't find that as gross as others do. I've never thought about it before, but since brats boiled in beer and then grilled are so good, I bet hot dogs might be good too? Hmm. Usually a good hard boil. But I do like throw them in the fry pan on occasion. Yeah, obviously grilled is best but nobody's breaking out the charcoal for a single hot dog. Often when I have call for a dog I'm also making pasta, so I just throw one in the boiling pasta water for a few minutes. When I used to make them regularly it was on a George Foreman grill. Haven't boiled one in years... don't think I could go back to that tbh. Often when I have call for a dog I'm also making pasta, so I just throw one in the boiling pasta water for a few minutes. Do you ever thread spaghetti noodles through chopped hot dog bits and then boil 'em? Haha, I'm usually doing it with macaroni, so no, but that's hilarious. Ditto on the boiling, but grilling/pan fry is also good and how I tend to cook smaller quantities of dogs. Most of my dogs the last few months have been steamed, which certainly works. In order of tastiness: a grill, on the Foreman, boil it, microwave it. Impaled on a chopstick and baked. Microwave: it ain't pretty but it works. If we are talking dogs, then a grill would be preferred, or maybe a bonfire but that's a bit wasteful for a single dog. Oooh, I used to impale them on a bamboo skewer and hold it over a stove burner. Not sure that was such a good idea in retrospect. Tended to end up charred on the outside and cool on the inside. Yup. 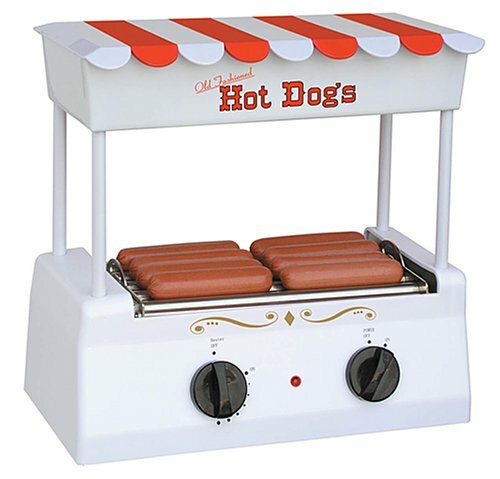 It is the blandest possible way to heat a hot dog, but you can heat packages at a time effectively. Unless the grill (of fire) is already going, I just microwave them. It I wanted to take the time to cook something, I wouldn't be eating a hot dog. Ideally, you only boil them long enough to reheat. I like a good rolling boil before I put them in. Give em roughly a few minutes and yank them out. Don't yank your hot dog. Gas burner, yeah. Just hold your wiener right in the flames. I wonder if that works for marshmallows. Yep. That's my approach too. Plenty of options for tubular meat with more flavor going on. And I generally either cook them on the grill, or by simmering a bit and then browning in a pan. And more ubiquitously available. Yeah, I love a good smoked sausage and would much rather have one if it was going to be the main component of a meal. Hot dogs are just what I'll slice up and throw into a batch of mac'n'cheese for some additional protein. Hotdogs are also generally smaller, so if you're not in the mood to stuff yourself, it makes for a much better snack. I too boil my dogs. I'm not proud of it, but it works and is faster than a lot of things. Uh... Have you never been to New York City? Or have you been and "get a hot dog from a street vendor" was not on your list of things to do? We've got one of these things, works fairly well.